Well i am back and blogging! Sorry for being away so long.. i think i just didn't have the feel to blog and now after yesterday's great race.. i can blog! So who all was expecting last nights outcome? All i can say is that i was shocked when it ended. The race blew by and i was going "wow" at the end. 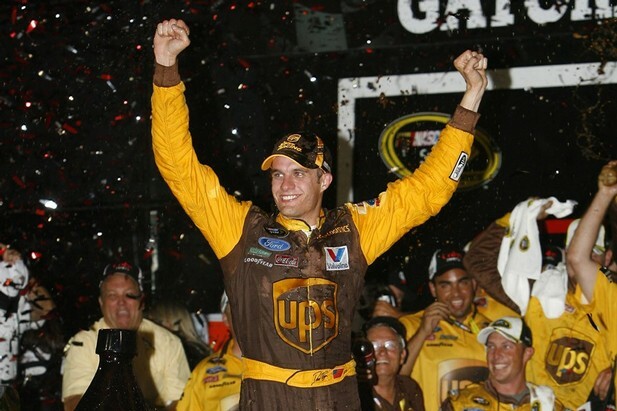 I am going to briefly describe the race.. but then we are going to talk about the winner.. yes people.. David Ragan. So here we go!!!! The race was at Daytona last night, it was 160 laps of dance partners and pure strategy. Many drivers paired up with teammates and did well. 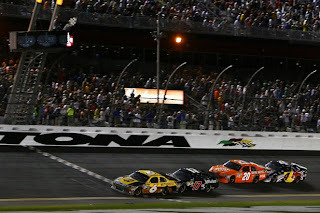 Brian Vickers and Kasey Kahne both paired up and lead laps and stayed up front all night. 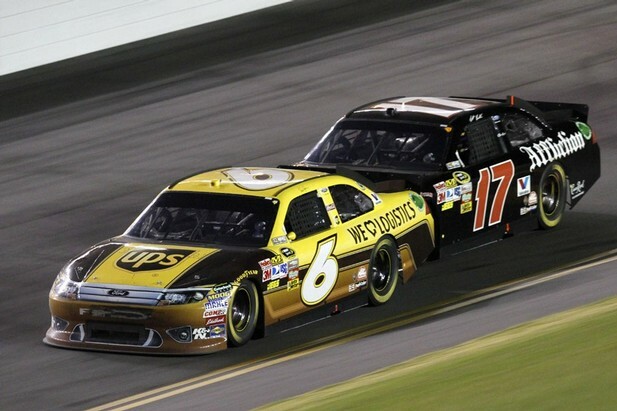 Matt Kenseth and David Ragan also paired up many times, same for Joey Logano and Kyle Busch. A few cautions came out... many for spins and others... Trevor Bayne was unlucky and spun early in the race and the car could not be repaired. Overall the race was intense and left everyone on the edge until the checkered flag flew down. We really had no idea who was going to win this race, it honestly could be anyone. Many people thought the red bull cars would pull away, others thought hendrick cars would win it too. Well, when a "big one" happened.. many drivers were left without their original dancing partners. Kasey and Joey paired up at the end... and many others did the same. David Ragan was up front.. and when we had 3 laps.. he ran them hard... even with a huge wreck forming. Ragan got his first cup victory last night and twitter and the crowds were booming with cheer and congrats. Lindsey_Lou_4 said: "Well deserved. 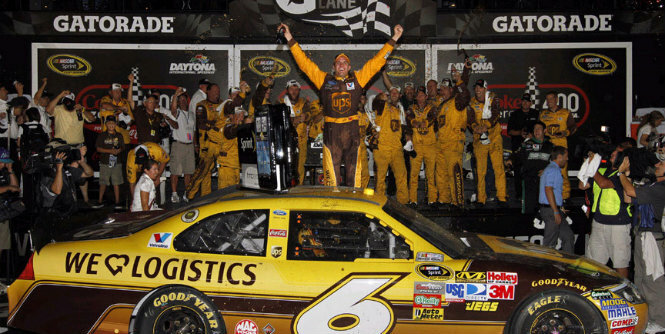 He drove a flawless, unselfish race and this will not be Ragan's last win, restrictor plate track or not!" Short_Court24 said: "i thought it was about time! 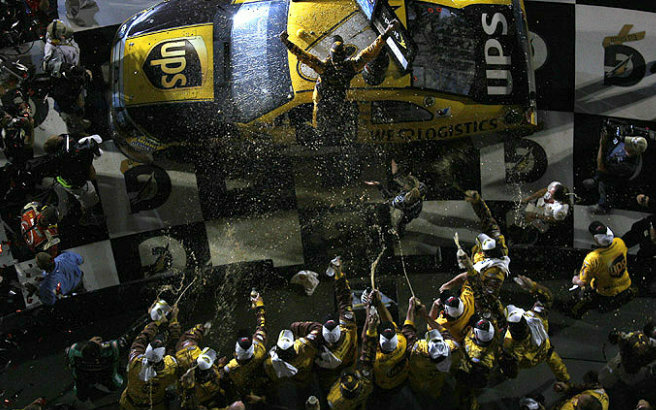 he let one go at daytona in feb. and this was a long awaited well deserved win! :)"
ilovehamlin11 said: "I was soooo excited! My family has been cheering him on all season hoping he would win and im so glad he finally got it done today! 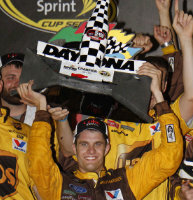 Im super proud of him(:"
Jordie6RFR said: "David Ragan winning was a dream come true. I lost my grandmother December 25, 2010. She was a Ragan fan. She wanted him to...win so much, to see how happy it would make me. I know, up in Heaven, she was watching down on him today, and she can see thejoy in my eyes tonight. I'll forever believe that she helped push that 6 to Victory Lane." All these comments are nice and oh so true. 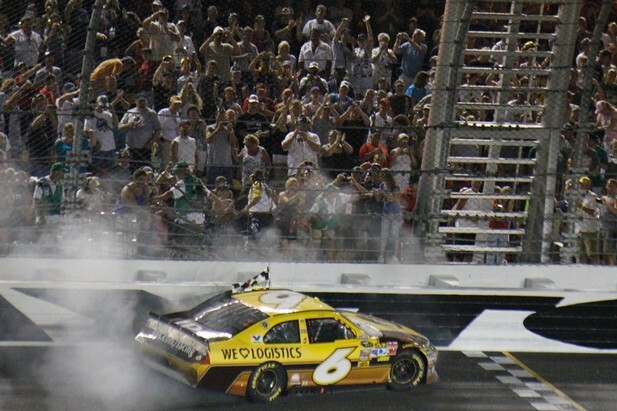 This was a well deserved win for the #6 team. Even Jordan who talked about her grandma just showed the reason to never give up on the underdogs. I know that all of us were cheering David to win and when he did we were overjoyed. Seeing the fan base so strong at this time was just incredible. I hope to see David pull off more victories and hope this race gave him the incredible boost of confidence that he needed and deserved. He raced his way to victory lane and earned the trophy well last night. Well that is all for this blog... i know it's not the most in-depth and long blog, but it serves it's purpose. We are on to our next race and also I hope everyone has a wonderful 4th of July weekend! Stay cool and enjoy the fireworks and awesome weather!